Yes, it is July. And yes, I am talking about Christmas! But, this one is not to be missed!! 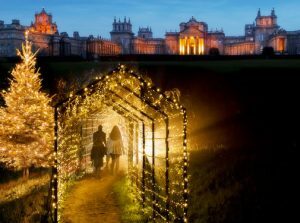 Blenheim Palace is pulling out all the stops this year, so book your tickets now for what is likely to be the best Christmas experience in Oxfordshire. 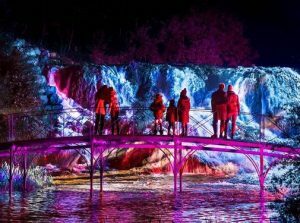 The hour long trail includes; Singing Christmas trees, illuminations forming a festive trail throughout the estate, Fire Garden; dancing flames, with lanterns, set against the background of glittering ancient woodland outlined in Christmas colour that can be seen high into the night sky. Lawns adorned in fibre optic colour, boats on the lake lit up brightly and filled with snowflakes, Christmas music and of course, Santa Claus! He will be in the boathouse! Visit the Blenheim Palace website for more information and to book your tickets.